DES PLAINES, Ill. - Over the past few years, the National Insurance Crime Bureau (NICB) has warned consumers to be on the lookout for scams when buying a used vehicle. 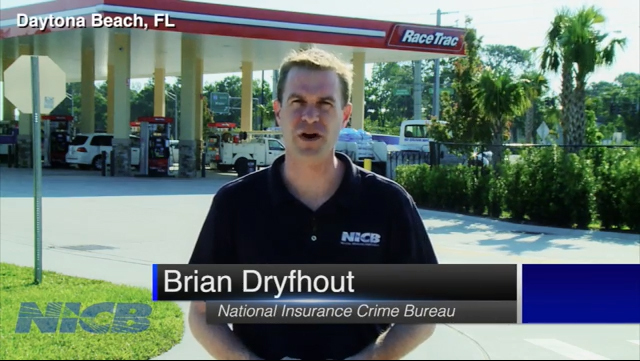 Working with law enforcement officials in Daytona Beach, Fla., NICB has identified a number of online sales of vehicles using the mobile app OfferUp. These vehicles are listed below market value and are being sold with fake VIN numbers and/or phony titles. The accompanying video describes exactly how this scam works. Anthony Callegari of Deltona, Fla. was looking to purchase a used truck as a birthday and graduation present. Using the app, Callegari found a 2017 Ford F-150 listed in Daytona Beach. 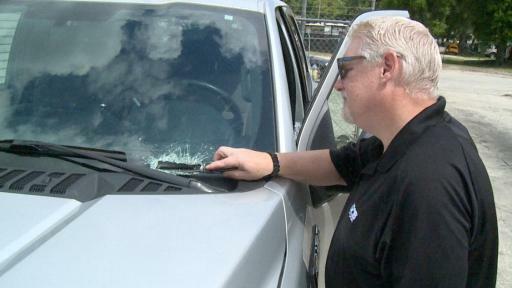 After meeting the seller at a gas station, he test drove the truck and agreed to purchase it for $20,000 cash. NICB has identified a number of vehicles are being sold with fake VIN numbers and/or phony titles. When he went to register the truck, officials told him the title was fake. He attempted to contact the seller to discuss the issue, only to find out that the phone number had already been disconnected. He notified the Daytona Beach Police and an investigator, accompanied by an NICB Special Agent, came out to inspect the truck. They discovered three other VIN plates glued under the fake VIN plate on the dashboard. The original VIN was from an F-150 that had been reported stolen in March and was deemed a total loss by the insurance company. The officers also found a GPS tracking system in the glove box. Authorities believe the seller intended to track the truck and steal it. Since he only provided one key fob to the buyer, he could use the other key fob to steal the truck again. Once it was stolen, the alleged thief would quickly list it for sale again on the app with another fake VIN number and title. Since the vehicle was stolen and the insurance company had paid the claim, police confiscated it leaving Callegari without a truck and no recourse to regain his $20,000. insurance fraud and vehicle theft through data analytics, investigations, training, legislative advocacy and public awareness. The NICB is supported by more than 1,100 property and casualty insurance companies and self-insured organizations. NICB member companies wrote over $461 billion in insurance premiums in 2017, or more than 81 percent of the nation's property/casualty insurance. That includes more than 95 percent ($218 billion) of the nation's personal auto insurance. To learn more visit www.nicb.org. About the National Insurance Crime Bureau: Headquartered in Des Plaines, Ill., the NICB is the nation's leading not-for-profit organization exclusively dedicated to preventing, detecting and defeating insurance fraud and vehicle theft through data analytics, investigations, training, legislative advocacy and public awareness. The NICB is supported by more than 1,100 property and casualty insurance companies and self-insured organizations. NICB member companies wrote over $461 billion in insurance premiums in 2017, or more than 81 percent of the nation's property/casualty insurance. That includes more than 95 percent ($218 billion) of the nation's personal auto insurance. To learn more visit www.nicb.org.